I saw this image on CNN . com and was curious what the real story could be (assuming the picture is real). Never, ever under estimate the "creativity" of human beings. In addition to porta-potties, they also provide temporary power, including hookups to the local POCO ... which would require meters, of course! ...In addition to porta-potties, they also provide temporary power, including hookups to the local POCO ... which would require meters, of course! That is an interestion business venture. 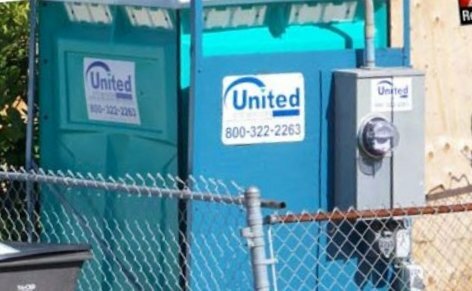 "Bob's Electric and Porta Potty Service"
Are you talking about the porta jon or the ones who usually uses them all the time? I am assuming that out of the frame there is a huge concrete block anchoring that blue steel thing in place... or.. maybe not?